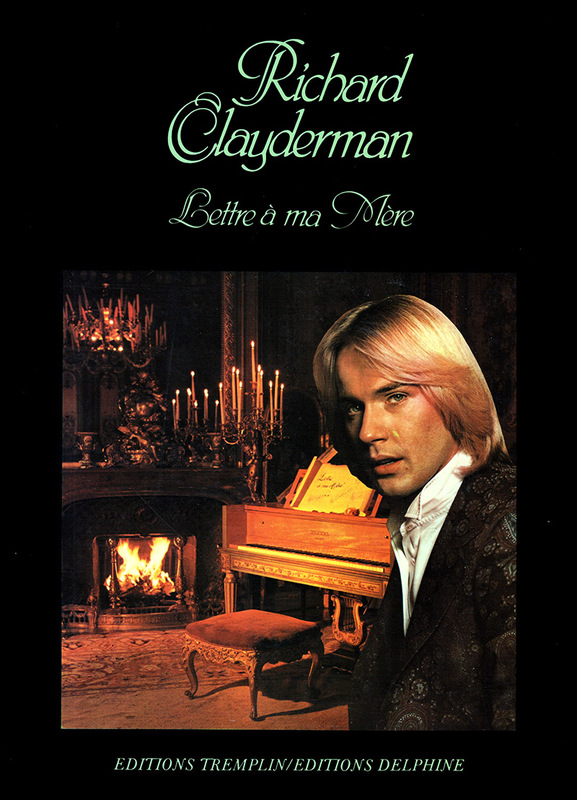 ‘Lettre À Ma Mère‘ is a music folio book featuring many of the most popular titles from the studio album, together with some titles from Richard Clayderman’s previous albums including ‘Medley Concerto’. This book was mainly sold in France, although was available in other Western European countries. However, it is now very rare, but can occasionally be found on eBAY. ‘Lettre à ma Mère’, ‘Les Élans Du Cœur’, ‘Nostalgy’ and ‘Give A Little Time To Your Love’.